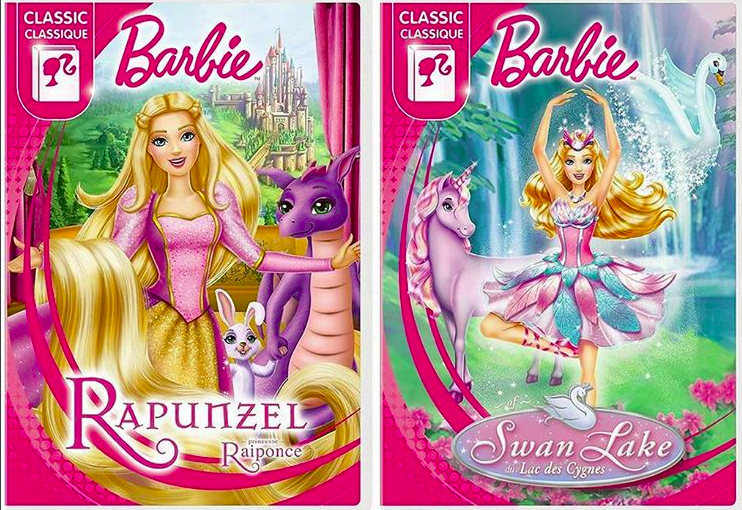 Barbie Rapunzel & zwaan-, zwaan Lake new covers. . HD Wallpaper and background images in the Barbie films club tagged: photo barbie rapunzel swan lake. This Barbie films photo contains anime, grappig boek, manga, cartoon, and stripboek. There might also be ingeblikt vlees and vlees in blik. These new covers look terrible. What was wrong with the old ones? Why did they have to change? Rapunzel looks fine but Odette looks totally weird here. Originals are far better. I hope they are freakin not planing to make remake of classical ones with these kind of animations. Mattel's gone highly crazy. Update on my comment: Me and my cousin are so mad at the Rapunzel one he just shouted at me and said this: "GIMME THE ILLUSTRATOR'S CONTACT NUMBER AND I'LL FIND HER/HIM AND ALSO THE CLIENT WHO ASKED FOR THIS CRAP AND MURDER THEIR CREATIVE MINDS! THEY'RE BETTER THAN THIS!" I regret ever complaining about the gold/pink oval frame being slapped on every DVD cover. LOL BR you should definitely tell him to do so, I'll join along. Hahaha, but yeah the illustrator of this cover are just doing worse. 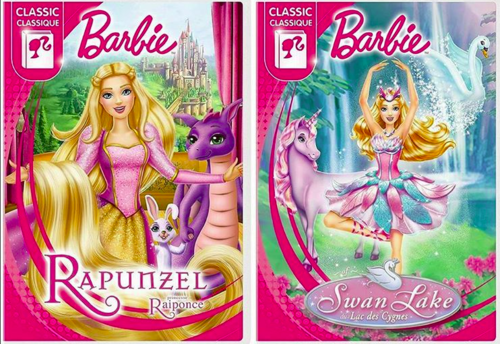 They do the same face design of Barbie in each covers, or I have to say "copy-paste". Why are they doing this? It looks terrible""